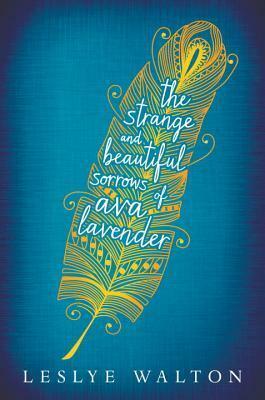 Foolish love appears to be the Roux family birthright, an ominous forecast for its most recent progeny, Ava Lavender. Ava—in all other ways a normal girl—is born with the wings of a bird. In a quest to understand her peculiar disposition and a growing desire to fit in with her peers, sixteen-year old Ava ventures into the wider world, ill-prepared for what she might discover and naïve to the twisted motives of others. Others like the pious Nathaniel Sorrows, who mistakes Ava for an angel and whose obsession with her grows until the night of the Summer Solstice celebration. That night, the skies open up, rain and feathers fill the air, and Ava’s quest and her family’s saga build to a devastating crescendo. I came across this book a long time ago and recently rediscovered it. I'll admit, I'm still not sure what it's about. Love, perhaps. Family. I do know that we have a girl born with wings, which is obviously unusual, and a potentially creepy young man obsessed with her. Which could be pretty cool. Tragic love? Something is definitely going on in here. I usually pass up on books I can't understand, but there's enough here to make me wonder. What's this world? What's the Solstice celebration? What are these twisted motives? This book could be either brilliant or terrible, but I'm willing to give it a try. I do like me some lyrical prose. If anyone knows anything else about what this book is about, I'd love to hear it. Honestly, I can't say much more because all I have right now is a feeling and an atmosphere--and a compelling one at that.